W ith the Left looking to discredit the Presidential election of 2016, Conservatives must learn to push back, intellectually and factually, against the false news, rhetoric and tactics employed by those who would attempt to stop the agenda they voted for. This book points out potential avenues to do this through a thorough review of the issues of the day. It also provides a review of the actual tactics being employed by the left, which allows them to implement a game plan to resist and obstruct the Conservative agenda being carried out by the President. Kevin J. O’Brien is a medically retired U.S. Naval Officer. He has served a total of almost 20 years in the U.S. Air Force as an enlisted Airman and a Naval Officer in the Active Duty, Reserves, and Inactive Reserves. Kevin has worked for Fortune 500 Companies, owned his own companies and is a Kidney Transplant and Open-Heart Surgery survivor. He is a 1981 Graduate from the University of Wisconsin-Oshkosh with a B.S. Degree in History/PoliSci. This is his first book. He lives happily with his wife, Sarah in Sheboygan, WI, where he was a 1975 Graduate of Sheboygan North High School. As the oldest of seven children, the uncle to 13 nieces and nephews and one great niece and one great nephew. He is happy to be at home after over 30 years of living on the East and West Coasts as well as his world travel while in the military. 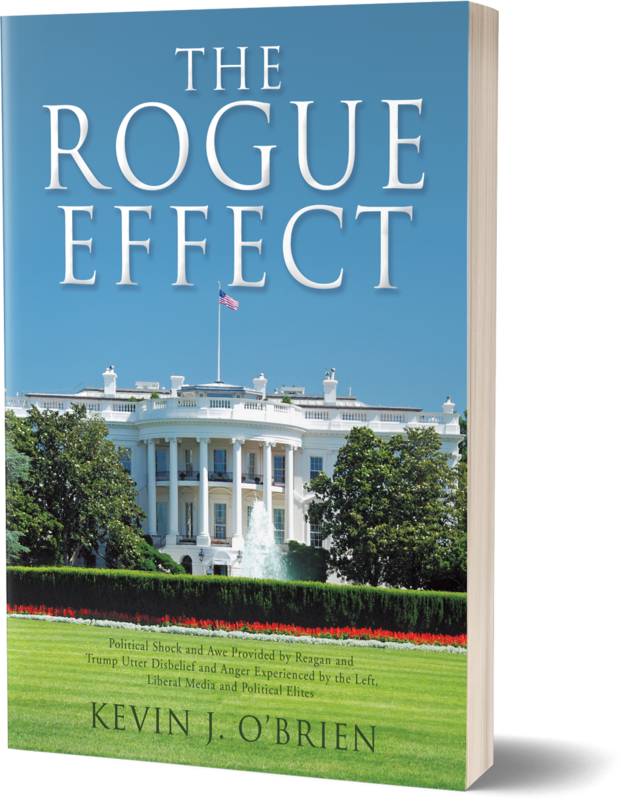 Rogue is defined by The Free Dictionary as "operating outside normal or desirable controls." History repeats itself approximately every thirty years. In this book, we will explore various facets of this theorem. Donald Trump took office twenty-eight years after Ronald Reagan left. As you will notice throughout the book, we are still dealing with many of the issues that we felt we had tackled under President Reagan. Reagan wrote: “A candidate doesn’t make the decision whether to run for president; the people make it for him.” The people called for Ronald Reagan in 1980 and in 2016, they called for Donald Trump. Was this divine intervention on our behalf?